Hailing from Philadelphia, PA, indie folksters Good Old War formed in 2008 as a trio, following the end of prior project Days Away. Quickly gaining a following with the release of their electrifying debut, Only Way to Be Alone, the prolific band soon found themselves touring with the likes of Dr. Dog, Alison Krauss, Brandi Carlile, and Counting Crows, headlining clubs around the nation, and performing on shows like Conan and Jimmy Kimmel Live! Ahead of their most recent and fourth LP, 2015’s Broken into Better Shape, drummer/vocalist/multi-instrumetnalist Tim Arnold departed to focus on his family, though subsequently rejoined the group two years later, contributing to their two latest releases, a set of companion EPs, 2017’s Part of Me, and this year’s Part of You, both marking some of the best, most concentrated and versatile songs the band have produced to date. 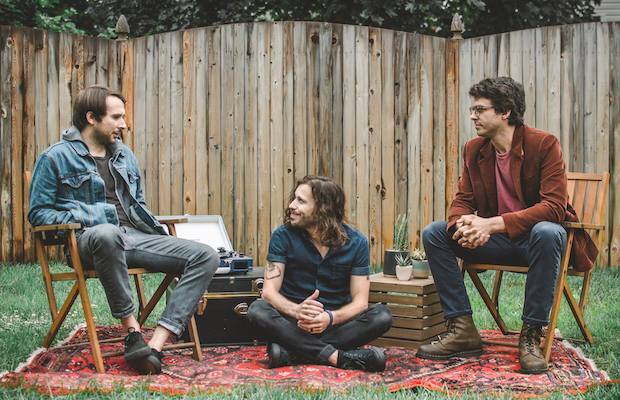 Tonight, Dec. 11, Good Old War return to Nashville to headline The High Watt, a perfect place to catch their signature harmony-laden, musically dense, and intimate style up close and personal. Joining them are North Carolina indie, folky group Beta Radio, who are certainly sonic kindred spirits, and London based folky singer-songwriter Allman Brown. Needles to say, Good Old War fans will want to arrive early to see these supporting acts, and even if you aren’t familiar with the headliners themselves (Good Old War are, perhaps, one of the most criminally underrated bands making music today), if you enjoy earnest, harmony-dense, personal folk and indie music, you’re sure to love this. Grab tickets here while they last! Good Old War, Beta Radio, and Allman Brown will perform tonight, Dec. 11 at The High Watt. The show is 18+, begins at 8 p.m. (7 p.m. doors), and tickets are available to purchase for $18.